As we transition in warmer weather, it’s only natural to start planning the first camping trip of the season. While some prefer traditional campers and tents, others are exploring new styles to enjoy back-to-nature lodging. 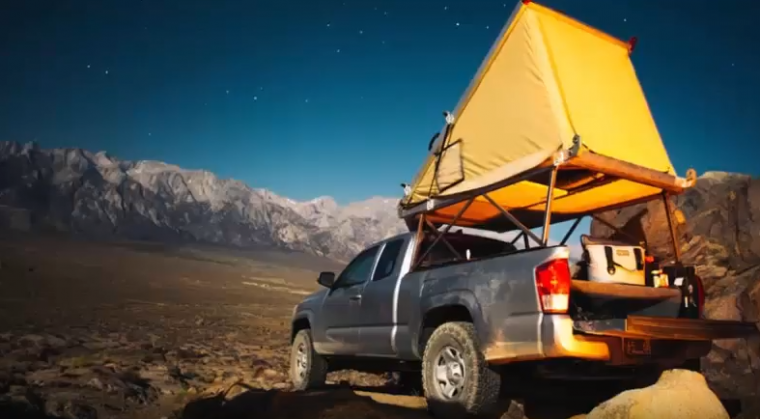 There’s a growing trend of rooftop tents, a tent design which frees up the cargo space of your vehicle while allowing you to camp in more precarious spots that aren’t accommodating to conventional tents or campers. You can still enjoy camping even when the ground is damp, since the tent’s foundation is the top of your vehicle. The elevation of the tent also provides a bit of extra protection against wildlife encounters, for those who are wary about bears, coyotes, and other large animals that might be prowling around at night. 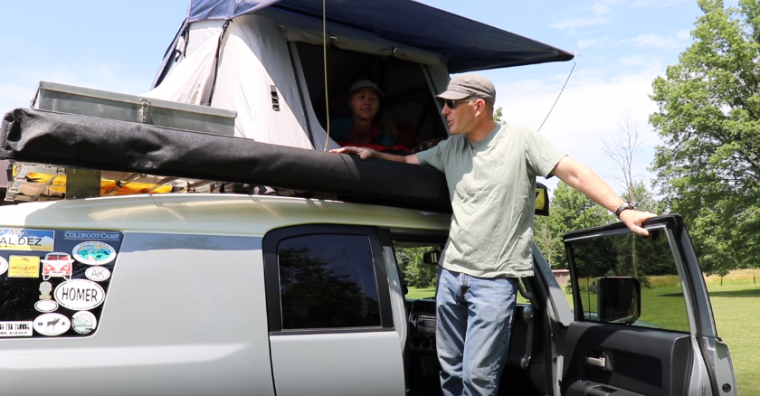 For pickup truck owners, rooftop camping can potentially damage the bed cap. The GFC design addresses this concern by implementing a tubular steel space frame that bolts inside the bed of the truck. It also saves you space, since the GFC tent forms the roof of the cap. Why not expand your horizons this season by trying rooftop camping? The Go Fast Camper design seems like a great place to start.